SM Supermalls' Cyber Month Tech Sale! When I read on the ads that August is SM Supermalls' Cyber Month Tech Sale, I immediately scheduled a date with my boyfriend that we go to SM Pampanga so we can choose our dream gadgets there. Since it's a Cyber Month Celebration, it was pretty obvious that the whole Cyberzone had very awesome discounted items. It's "technically" a feast for the eyes. If you remember on my Christmas wishlist post, I posted that I wanted to have a new camera for blogging purposes which I haven't accomplished yet. So here, I scouted DSLR pieces from Canon and look at their prices. I wanted the white one but then I saw this new model of the 1200D and it's affordable I guess for a DSLR. Though I am not really familiar with the best model of cameras in the market, just the thought of having a point and shoot camera is already a keeper! After drooling with the cameras, I visited the game section where I was canvassing for a new console for my man. He actually wants a PS4 but after saying so, he will then come up with so many gadgets that sometimes I don't have any idea what he was talking about. Indeed these toys for the big boys! Moving on, I am also canvassing for a laptop. It is what I need in school. When I had my seminar last vacation, it stated there that 21st century teachers should know how to use gadgets and such so we can incorporate it with our lessons and teachings. Especially now that the students know how to use the computer more than some of the teachers do. 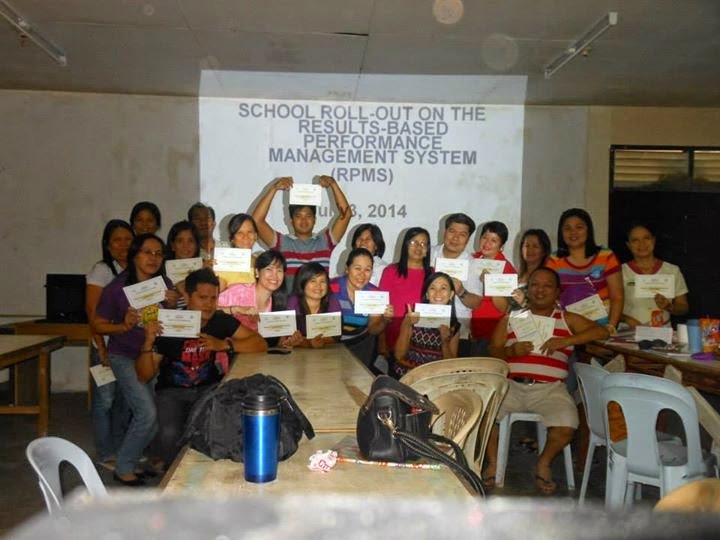 So I made sure I am equipped with the knowledge on using Microsoft word, Excel and Powerpoint and even using projectors and other gadgets. So this month's celebration of Buwan ng Wika, I made sure that we use the ICT room so the student's can experience hand's on technology in doing their school work and projects. ... and look! 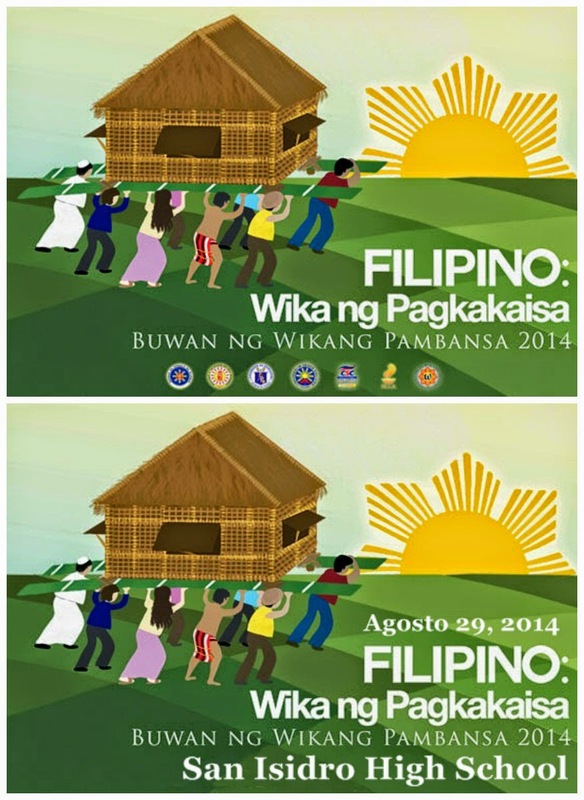 I edited the photo for our tarpaulin which was used in our 'Buwan ng Wika' celebration yesterday. I now know how to edit photos using Photoscape. Actually, I also use the software when I edit some pictures here in the blog. Notice the difference? I know it's quite simple but doing this kind of work, I feel that I have a new learning about technology up on my sleeve which I can teach my students in the future. Technology really changed my life and my way of teaching a lot! 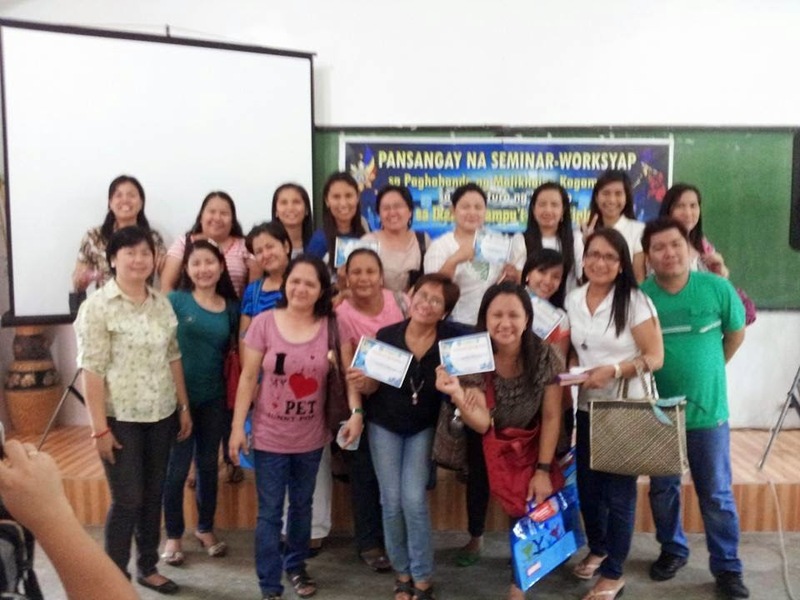 I hope there would be more seminars and trainings for teachers regarding the newest tech gadgets in the market that can be used in school so we can share it with our students learning and they can use it in their everyday life. With that, I want a laptop in the iSeries so this promo is already a steal from Asianic! Look! From P26,990, now it's only P22,999. Definitely a steal with it's amazing specs. Not only that, there are also a lot of repair centers inside SM Pampanga Cyberzone that can help every customer with it's repair needs! Of course, I won't let my window shopping pass without checking on the latest phones they got. This is actually the reason of my tour, to canvass for a new phone. The ASUS area really caught my attention 'cause apart from not knowing that they already have a mobile line, their prices are definitely an awesome attraction to customers. The quality and the design were nice. But what really caught my attention the most is the Oppo's stand plus their salesmen were very accommodating and very kind in introducing Oppo's best mobile. I even think that this is the best mobile, better than those two competing brands in the market today but the price is definitely a HUGE STEAL! Oppo's Find 7a is so far the best phone for me. It's expandable to 128GB and it's Quadcomm Snapdragon. With all it's amazing features, it is only for P22,990. Almost twice the amount of an iPhone 5S. I would prefer this over the latter. Very nice selection of SALE gadget. I definetly go for Camera the white one is really nice! and BER month is here and this is such a great idea for shopping list. I am planning to have a new phone but it was scheduled on December pa. I hope there is also another gadget sale before the year ends. So many techy gadgets..really eyecandy for me to. I'm too looking around for a new laptop but haven't decided on what to get as yet. Me too. Do not really know on what specs I need to consider in getting one. True sis. It's really hard to choose. I have the 100D but the black one but it was bought way cheaper than that price there. I plan to get a new phone. I still have the hand-me-down from cousin which another cousin fondly calls "samsung old mobile". We also had visited SM Cyberzone last month. Needed to buy a printer for use at home. Had found what we needed at a good price, too. Sometimes they got cheaper gadgets naman noh. Blog Sale, Blog Sale, Blog Sale!! !